Well it's that time of year again! Time to break out the seed catalogues and order next summer's bounty. I thought I'd share about Seeds of Diversity's Canadian Seed Library. 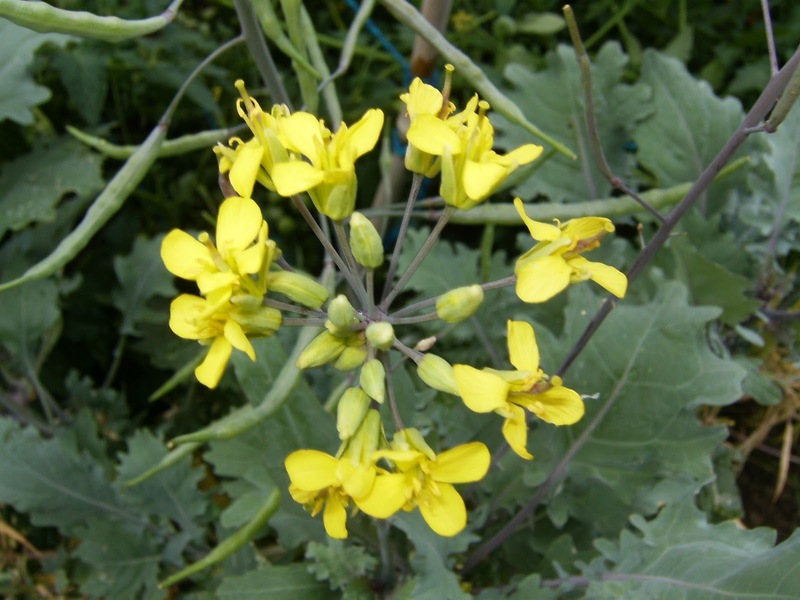 Kale flowers, second year growth. Kale seeds, saved summer 2012. The Canadian Seed Library is currently storing 2475 seeds samples! Those include many rare and heirloom seed varieties from all over Canada that are not available from seed companies. You can request seeds samples of these varieties (provided enough quantities exist) for your own garden! 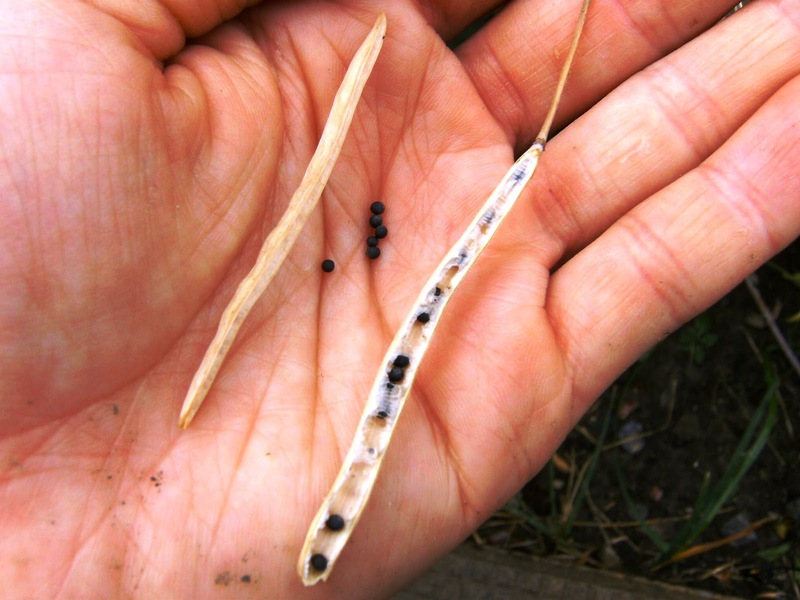 If you are interested, you can even become an integral link in preserving varieties - by growing endangered plants and saving their seeds for conservation and propagation through the Seed Library! The work of Seeds of Diversity is so important. Consider that a few generations ago, farmers and gardeners grew roughly 35,000 different plant varieties! Today, we have access to a lot less varieties, and many have been lost forever. 75% of food biodiversity has been permanently lost in the 20th century. Take a few minutes to check out this great slideshow about these issues and the work of Seeds of Diversity. And of course, check out the list of amazing and intriguing plant varieties being conserved! I should also mention that for $25 dollars you can become a member which gives you access to their Canada-wide seed exchange catalogue - home to over 3,489 seed varieties for veggies, fruits, flowers, grains and herbs! Membership also includes the two yearly editions of Seeds of Diversity's magazine.